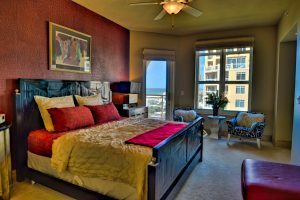 Vacation rentals have grown in popularity at an amazing rate. Thanks to that growth, lots of companies have thrown their hats into the ring, helping consumers to find those rentals. That means the Internet has loads of options for vacation rentals shopping. However, as we all know, not all the options that appear in front of us are equal. Some valuable alternatives don’t appear at all. That creates the questions, is the first result on the list going to save the most money? Is it the best deal or simply the supplied by the company with the best understanding of how Google Search works? While no option is truly a bad one, wouldn’t it be nice to bypass the online sales pitch and find out for yourself who is offering the best deal? The solution is far simpler than you might imagine. While you might think that going to a site that already does comparisons is the best way but, in reality, that is only one of the ways. 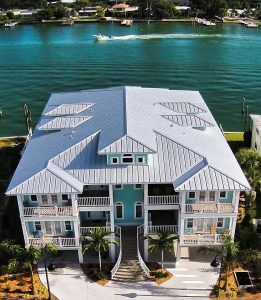 Here’s a means to find that golden price-point on your vacation rental that puts you at the controls. It takes a little work, but the money you save for a little bit of extra effort could turn out to be worth over $500 for an hour for your troubles. Start by using whatever booking site you like best or even the first one that pops up. Any one will do. Write down a few names of the rentals you find; things like ‘Seaside Cottage’ or ‘Mountain Top Cabin’ –whatever the unit is actually labeled. Those are the names that will take you on your comparison shopping tour. Naturally, you will write down the cost of those rentals next the name. Don’t forget any added charges that might apply. Lots of sites add fees on top of the price you see up front. The next step is super simple. Enter one of those names in the search bar and press go. 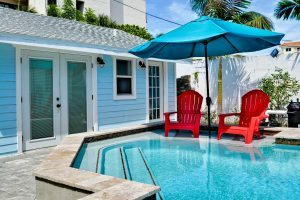 You will be rewarded with a list of vacation rentals that have that name. If there’s too many ‘Seaside Cottages,’ then put the name of the town with it. Your rental should pop up on the first page. It ought to appear more than once. In fact, seeing your selected rental more than once is what you are hoping for. That’s where you get to comparison shop. Take a few minutes to open each option and write down their price for the rental. Is it cheaper? Maybe not, maybe so. More often than not, you will find a listing that is cheaper. In fact, it works almost every time. Don’t forget to add on any fees that websites charge. Added costs are common. The first price you see is not always the one you get at check out. Many times you will stumble onto a direct route to the provider of your chosen rental. With no one in between you and that source, added fees disappear and the price is bound to be cheaper. Of course, if you find sites that don’t add extra service charges, use them! The whole idea of this shopping exercise is to shave away the unnecessary price padding. And that, my friends, is the magic of doing price comparison shopping on your own. If it seems like a hassle, well, sure, it might be a bit of a pain but the savings are well worth it. Do you normally gain hundreds of dollars for a half hour to an hour of work? Unless you earned your money that fast, the effort is well worth the reward. Next time you are shopping for a vacation rental, give this trick a try and see what you wind up with. A cheaper vacation rental awaits you on the other side.